Concerns have risen again over the Greenhags Recycling Centre development in Newton Mearns. Constituents have contacted both East Renfrewshire MP, Paul Masterton and Eastwood MSP Jackson Carlaw over changes to the development. Mr Masterton andMr Carlaw in turn both wrote to East Renfrewshire Council regarding the controversial biogas plant, which will see animal waste being utilised for fuel at the facility. This follows a community council meeting last month where Mr Carlaw and a representative of Mr Masterton’s office heard the concerns of local residents. When the planning application was previously granted, East Renfrewshire Council included a so-called ‘Condition 10’ which centred around the banning of animal waste in a move to alleviate public concerns. East Renfrewshire Council has since contacted both Mr Carlaw and Mr Masterton concerning the facility. However, they said that the council’s letter has only heightened the fears of residents rather than allay them, as the council has confirmed that cattle slurry will be used on site and no consultation will take place over this. Mr Masterton said: “Removal of Condition 10 represents a shameful withdrawal by East Renfrewshire Council from previous assurances given to residents. 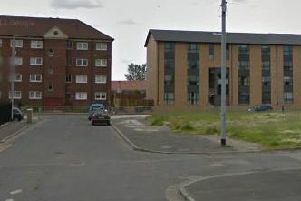 Mr Carlaw added: “Amending or removing Condition 10 is disadvantageous to local people who at least felt protected by this control on developers.